The French Alternative Energies and Atomic Energy Commission (CEA) – a key player in R&D and innovation and one of Europe’s largest major research bodies announced in a press release that it is using HP Inc’s. 3D printing technology to develop new digital manufacturing processes and production-ready applications for its clients worldwide. Under the collaboration, CEA which is known to have extensive experience in creating solutions for various manufacturing problems will use HP’s award-winning Multi-Jet Fusion 3D Printing technology to solve manufacturing problems especially in the materials and advanced processes. The research organisation aims to reduce costs and improve efficiency throughout the lifecycle of the part including postprocessing using HP’s 3D printing technology. Apart from using HP’s 3D printing technology to develop new digital manufacturing process, the CEA also has plans to extend the use of HP’s Jet Fusion 3D printers to develop materials and take advantage of HP’s unique open platform which the company has exclusively developed to encourage third-party collaboration. Above: HP Jet Fusion 3D 4210/4200/3200 Printing Solution allows companies to prototype and produce functional parts up to 10 times faster and at half the cost/Image Credit: HP Inc. Speaking about how the collaboration with HP Inc. will benefit CEA’s innovation efforts, Florence Lambert, Director CEA-Liten said in a statement, ““When looking for a 3D thermoplastic leader to partner with, we were attracted to HP’s disruptive approach to the market, influencing the way people design and manufacture goods”. “With CEA’s mission to improve the competitiveness of companies through product performance and differentiation, and with HP’s commitment to make the digital transformation of manufacturing a reality, together we are working to prepare companies of all sizes around the world for the Fourth Industrial Revolution,” Lambert added. Giving details about the importance of collaboration with organisations such as CEA, Emilio Juarez, Sales Director of 3D Print Business for HP Inc. for the Europe, Middle East and Africa (EMEA) said, “As the manufacturing industry looks to 3D printing for cost-effective solutions to digitalize production, organizations such as CEA are hugely important”. “A key part of our 3D strategy is innovating together with the most prominent research centres around the world, CEA being a prime example. With the support and collaboration of CEA, HP continues to drive the radical transformation of the 12 trillion-dollar global manufacturing sector”, Juarez added. The HP Jet Fusion 3D Printing solution is a production-ready commercial 3D printing system known to deliver high quality physical parts at a faster rate and half the cost of existing 3D printing systems. 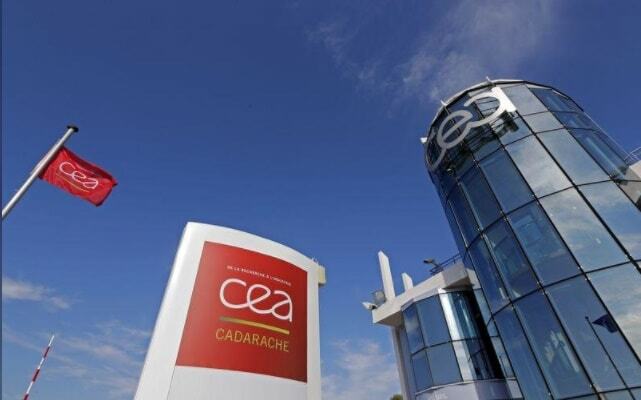 The French CEA is only one of the several organisations taking advantage of HP’s Jet Fusion 3D printers the other being Deloitte. In August 2017, Deloitte – a global leader in professional services and a leader in digital supply chain transformation partnered with HP to help its customers make use of 3D printing technology in their supply chain networks as a way to speed up digital transformation of the global manufacturing industry. How Selective Laser Sintering Works? How FDM/FFF 3D Printing Technology Works?